This all-inclusive game table will become a quick family favorite! Perfect for the holidays, as a gift, and for spontaneous game nights! Pegs underneath the table surface push up to reveal three boards with six different sides. 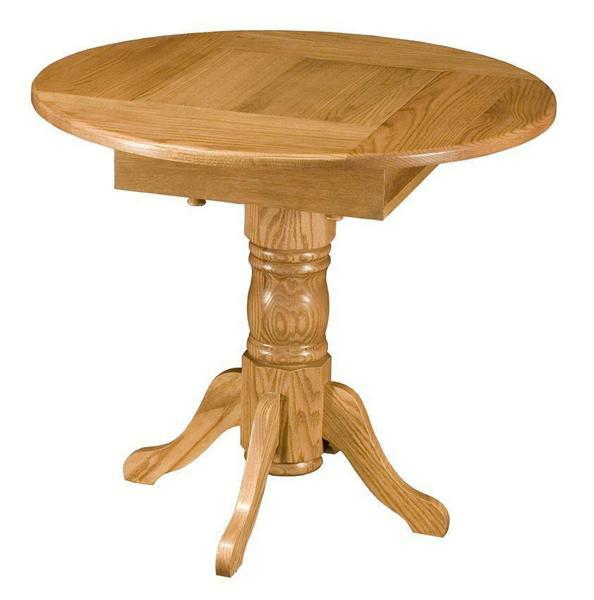 Because it's Amish handcrafted, this 30" table will last through the years, witnessing the many memories made! Choose from 5 games to play! One of the 3 boards has a green, 100% wool felt surface used for playing cards, while the opposite side is wood stained to match the rest of your table. Start with pub snacks, then flip the board over to get playing! 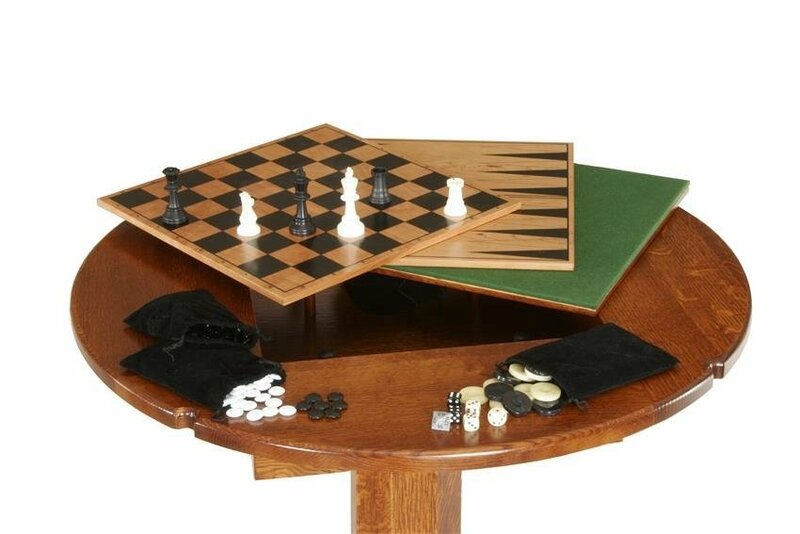 Games are stored in the center of the table for style and convenience. Game pieces are included and are tournament quality. This table also available a foot higher, true pub style! 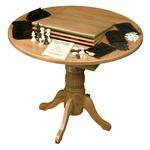 See our 42" High Game Table. Find game chairs and other possibilities for family-wide entertainment in our Home Game Room Collection.